This gelato looks yummy -- but the bright colors and texture let you know there's nothing natural about it! At Walks of Italy we are passionate about Italian food. From cooking classes and food tours, to our guides on what to eat in different regions of Italy, we want to tantalize your tastebuds and teach you all about the world-renowned cuisine of our favorite country. If you want to learn about Italian food in Italy with some of our passionate experts, check out our Italian Food Tours. Italy’s full of gelato shops, and many of them serve up flavorful, fresh gelato made from natural ingredients. Many other gelaterie, though, sell gelato that’s been made at a factory, pumped full of chemicals, preservatives, and artificial colorings, and put on display in metal containers to look “artisanal.” Fact: it’s not. If you want the complete explanation of what makes gelato so unique, read our blog on the magic of gelato. If you want to experience some of the best gelato in Italy, you need to know where to go. Don’t worry: We can help. The results of our, ahem, “research”… on where to find Italy’s best gelaterias. 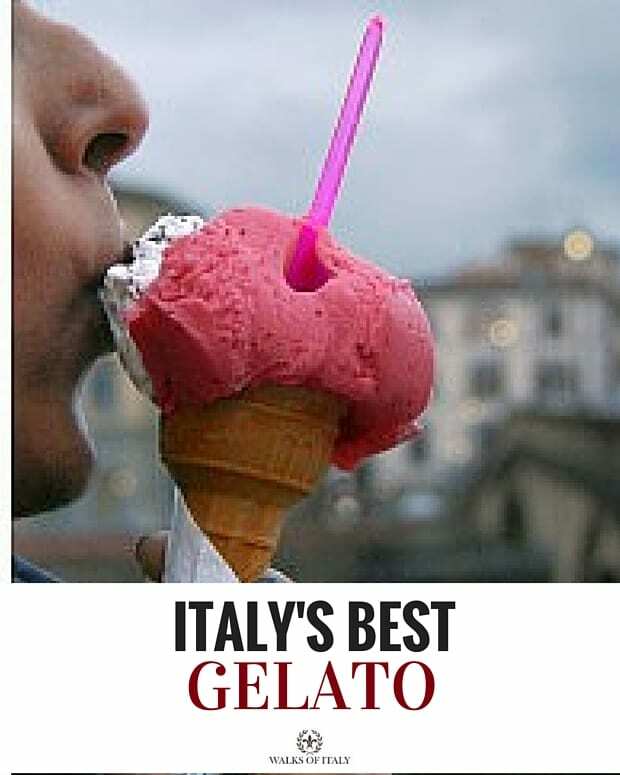 (And yes, we know, there are many other excellent gelaterie in Italy! If you’ve got a favorite that didn’t make our list, tell us about it in the comments). Gelateria I Caruso. I Caruso might just be our favorite gelateria in Rome — and yet it remains a local secret. Opened a year and a half ago, I Caruso is one of those rare true artisanal gelaterias; they make their gelato on site (you can even watch them do it!) from all fresh ingredients. Don’t miss their fondente, a super-creamy dark chocolate, or the fruit gelatos, which burst with flavor. 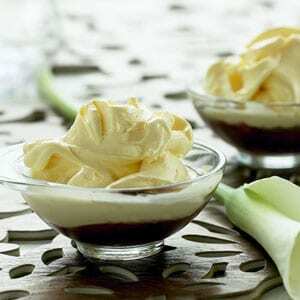 And even if you usually say no to panna (whipped cream), say yes this time: It’s fresh-made, and the zabaglione (marsala wine-flavored) panna is to die for. Via Collina 13/15, a 10-minute walk from the Repubblica train station. Il Gelato di Claudio Torcè. Rome foodies call Claudio Torcè the master for his crazy-creative flavors and high-quality, all-organic ingredients. Try his creations out for yourself, and prepare to be daring: would you prefer the gorgonzola with vinegar, ricotta with coconut and chocolate chips, or chili-flavored chocolate? (Don’t worry — there are more than 100 flavors, so you’ve got choices). Although the original location is in EUR, the newest outpost just opened right in the historic center, just off Via del Corso — so now there’s no reason not to miss it. Locations include Viale dell’Aeronautica 105, near EUR; Viale Aventino 59, near Circus Maximus; and Piazza Monte d’Oro 91/92, near Piazza Navona and Via del Corso. Fatamorgana. With such creative flavors as apple, almond and cinnamon, or the famous “Kentucky” (tobacco, cinnamon, and dark chocolate), Fatamorgana’s another one for serious gelato lovers. The flavors, more than 60, change seasonally, and use all-fresh, high-quality ingredients. The most central location is in Prati, so reward yourself with a cup after you visit the Vatican. Via di Lago di Lesina 9/11, Salaria, or via G. Bettolo 7, Prati, less than a 10-minute walk from the Vatican museums. Ciampini. A classic, Ciampini is one of your best bets in Rome’s centro storico. Even the fruit flavors somehow manage to be both creamy and flavorful, opposed to the grainy fruits you tend to get elsewhere. If it’s in season, opt for the castagna — a chestnut flavor with bits of chewy chestnut mixed in. 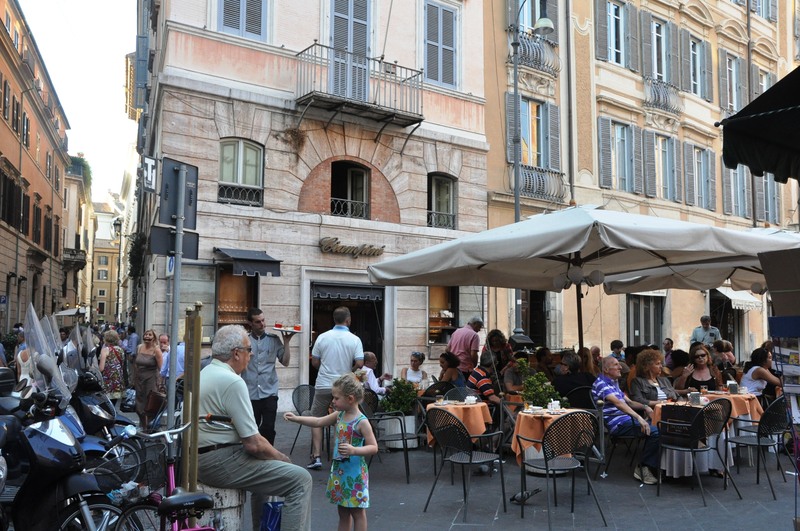 If you don’t mind spending two or three times as much, sit at the cafe’s outdoor tables and watch well-heeled Italians strolling by on the lovely Piazza San Lorenzo in Lucina. Piazza San Lorenzo in Lucina 29, a 5-minute walk from the Spanish Steps or Piazza Navona. Gelateria dei Gracchi. Another one to reward yourself with after the requisite visit to St. Peter’s. All-organic, fresh ingredients create flavors that pop — like chocolate-and-rum (made from fondant, not cocoa powder), or pistachio (made with fresh-roasted Sicilian pistachios). Don’t miss the bonbons, either. Locations at via dei Gracchi 272, Prati (a 10-minute walk from the Ottaviano-San Pietro metro stop), viale Regina Margherita 212, Prati, and via Tuscolana 251, Tuscolana. Gelateria dei Neri. A local favorite, this artisanal gelateria boasts some particularly unusual flavors, like gorgonzola and rice, alongside classics like stracciatella (chocolate-chip), caramel and mango. Bonus: They’ve got Sicilian brioche, so you can make a delicious gelato sandwich, too. Via dei Neri 26r, a 5-minute walk from Ponte Vecchio. Carapina. Carapina’s gelato is made fresh each day, in-house, and whatever’s leftover in the evening is thrown out. The ingredients are all-natural, and the flavors, like ricotta, cherry, fig, or jelly biscuit, change seasonally. It’s a little less-central than some of our other favorite gelaterias, but believe us: It’s worth it. Piazza G. Oberdan 2r, a 10-minute walk east from Casa Buonarroti. Vivoli. One of the most famous gelaterie in Florence, Vivoli also makes its gelato fresh, and they won’t sell you anything that they haven’t made that same day. The flavors, which change often, include pear with caramel and chocolate with orange. Just don’t be surprised by some of Vivoli’s quirks: Given its fame (and pride), it’s some of the more-expensive gelato in Florence, the portions aren’t huge, and, like many other artisanal gelaterie, they’ll refuse to give you anything but a cup (cones distract from the gelato flavor). But it’s worth a stop if you’re in the neighborhood. Via dell’Isole delle Stinche 7r, right by Santa Croce. Like cannoli? Grab one of those at Carabe, too! Carabé. 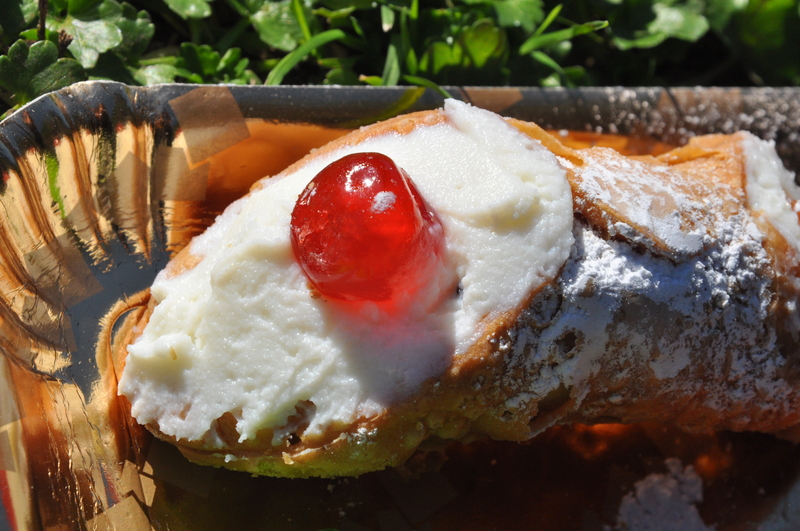 This gelateria, run by a Sicilian couple, offers not only gelato, but cannoli, brioche, and other Sicilian specialties (for more on cannoli you can read our blog on Italian sweet treats). But the frozen treats are what to come for. There aren’t any preservatives or artificial colorings in this gelato, and the lemons are imported from Sicily every week. On a hot summer day, a granita from Carabé can make everything better. Via Ricasoli 60 (right at the Accademia) or Piazza S. Jacopino 9. Festival del Gelato. A true crowd-pleaser, Festival del Gelato is also particularly easy to get to, being located just off the main drag of Via dei Calzaiuoli. Despite being noticed by tourist guides from Frommers to Rick Steves, it continues to be a favorite of both tourists and locals, churning out more than 60 yummy flavors, from profiterole to rose to green apple (with all the classic flavors, too). Via del Corso 75r, near the Duomo. Il Massimo del Gelato (Milan). Cars double-park and people line up out the door for this gelateria in Milan — and it’s no surprise why. The flavors are intense (and, as the carts of fruit lined up as you walk in remind you, made from real food), with happy customers raving about everything from the almond to the chocolate with cinnamon and peperoncino. It’s a bit off the beaten path, but worth the requisite bus, tram, or cab to get there. Via Castelvetro Lodovico 18, Milan. RivaReno’s “Alice” flavor — delicious! RivaReno (across Italy). Thanks to its popularity, RivaReno’s outposts are now found throughout Italy (there are 10 in total, including three in Milan and three in Turin). But its gelato remains top, thanks to the fresh ingredients and the refusal to use hydrogenated fats or artificial preservatives, coloring, or synthetics. Creative flavors include delicious fusions like “Alice” (mascarpone with gianduia sauce) or “Morena” (cream with whole, black cherries and black cherry sauce). Milan: Viale Col di Lana 8, Via Mercato 20, and Via Paolo Sarpi 58. Torino: Via Lagrange 29, Piazza Vittorio Veneto 7/C, Corso Alcide De Gasperi 8. Flornece: Via Borgo Degli Albizi 46/R. Rome: Via Magna Grecia 25. Ferrara: Via Mazzini 12. Milane Marittima: Viale Gramsci 37/B. Alberto Marchetti (Turin). 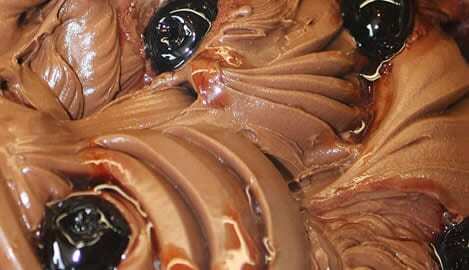 Alberto Marchetti has won lots of prizes for his handmade gelato. It’s all fresh-made (all gelato is served within 24 hours from when it’s made), and flavors range from the traditional (peach, cream, zabaglione) to more-creative (try the bonet, a flavor based on a traditional dessert from Piedmont). There’s brioche and Sicilian granita, too. Corso Vittorio Emanuele II 24, Torino. La Boutique del Gelato (Verona). Every flavor gets its kick from real foods and fruits… and not from artificial flavors or colorings. Flavors range from traditional to off-the-beaten-path, like khaki fruit or fresh dates. For something even more different, try one of the wine sorbets: would you like frozen moscato, spumante, or amarone? Via Ederle 13, Verona. Gelateria di Piazza (San Gimignano). Despite being on the main piazza of touristy San Gimignano, this gelateria’s hung onto its roots — and continues to deliver up some of the best gelato in Tuscany, as evidenced by a long list of national and international prizes. Made fresh daily, without the use of preservatives, the flavors are creative and delicious, including crema di Santa Fina (cream with saffron and pinenuts), raspberry and rosemary, and sangue di bue (spicy chocolate with sour cherries). Piazza della Cisterna 4, San Gimignano. Otranto (Naples). You know the drill by now: fresh, high-quality ingredients make for excellent gelato. And that’s true at Otranto, too. The milk and other products are natural and come from Campania. Flavors are mostly classic, but change seasonally to mimic Neapolitan pastries, like cassata, roccocò, and pastiera napoletana. Our advice: Try one of the pastries at one of Naples’ famous bakeries, then get the corresponding gelato flavor at Otranto, to really “experience” Neapolitan flavors. Yum! Piazza Fanzago 118, Naples. And I would also add GROM…it’s in many Italian cities and the gelato there is great!!! The fact that you left out Gelateria Gianni in Bologna seriously detracts from this article’s credibility. Haha, thanks for the addition, Rik! We’ll be sure to check it out. Thanks for your comment! My favourite gelateria in Italy so far! 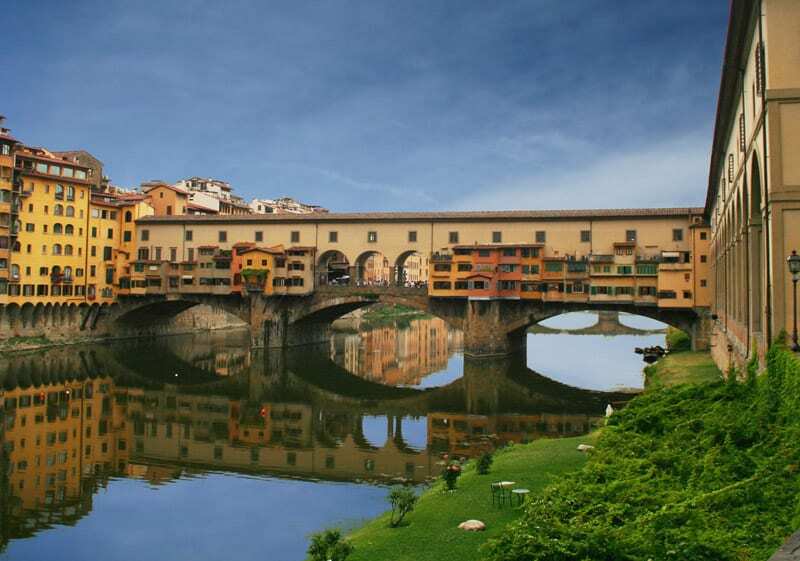 I just returned from studying in Florence, and a favorite gelateria of mine was La Carraia right on the corner of the street before Ponte La Carraia. My friends and I found it to be even better than Gelateria dei Neri (and La Carraia was also recommended by the Italian teachers at our school and was always full of Italians, which is a sign that it must be good)! Carapina was also a fave, especially for the seasonal fruit gelato flavors! Glad to see it made the list! in Paris, Marais arrondissement. The shop had huge line of customers waiting Rose gelato !! That was my favourite as well! I would love to have some help from your readers: while in Milan only blocks from the Duomo we’d run into a beautiful cafe and gelateria specializing in chocolate… they made fresh waffles to order and put pearls of dark, white or milk liquid chocolate (dispensed from ‘eternal’ fountains) in the bottom of every cone… coffee was special too. Please help me re-locate that gem. The design characteristics of the store, no seating, all standing were amazing.) Thanks for your help! Bougainvillea in Sorrento…went back 3x in a single day! I also think that you missed La Sorbetteria Castiglione in Bologna.. Absolutely two of the most wonderful artisinal gelaterias in all of Italy are in found in Bologna (the true food capital of Italy) and Gelateria Gianni and La Sorbeteria should definitely have been included. I oughta know: sono maestro gelatiere. nice article, just wonder from which shop that photo on top has taken of? Unfortunately, we don’t have the information for that! But you’ll find similarly good-looking gelato across Italy 😉 Let us know if we can help with anything else! Gelateria Gianni in Bologna is not artisanal! The best are La Sorbetteria, la Cremeria and Stefino! You have left out ZAMPOLLI (via Ghega, walking distance from the railway station) in Trieste: simply wonderful, a combination of technique, high-quality ingredients and imagination. Best ice cream parlour in Trieste! One of my favorite gelaterie in all of Italy is in Perugia. It is across from the Arco Etrusco and is called Augusta Perusia. The man who runs it used to work at the Perugina factory so the chocolates and flavors are incredible! 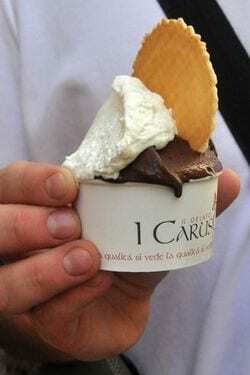 I’ve been to Italy twice, Rome, Florence and Venice…..I can’t say I’ve had bad gelato anywhere in those three cities. I wish we could get good gelato here in the USA, specifically Washington State. Hands down the best gelato in Italy is on the square in Sacile. No doubt!! I’ll like to thank you for the info and I’ve tried gelato and it was very good maybe I should think of going to Italy.